Huawei’s Kirin 930 chipset is currently present in the company’s MediaPad X2 slate, which was unveiled during the MWC 2015 event that kicked off in Barcelona. It is expected that the chip will also be present inside the company’s upcoming Ascend P8. Only recently, Huawei detailed some interesting facts concerning its flagship SoC; with the primary one being that it is manufactured on the 16 nm process. While the ‘system on a chip’ was fabricated on a superior architecture, there are other factors that define the level of performance from smartphones. Initially, it was believed that the Kirin 930 featured four Cortex-A53 cores and four Cortex-A57 cores, but afterwards, it was confirmed that the chipset’s octa-core package comprises up of eight Cortex-A53 cores. While this will have an adverse effect on performance, Huawei has detailed as to why it stuck with its decision. 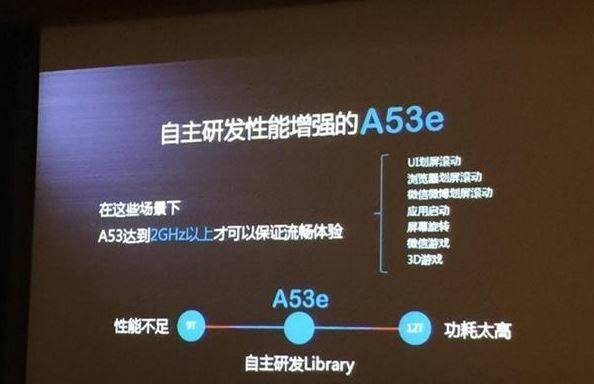 According to a source, Huawei has stated that the its Kirin 930 features four Cortex-A53e, where the ‘e’ is denoted as enhanced, while the remaining four cores belong to the regular Cortex-A53 CPU. The incorporation of four A53e cores greatly improves overall performance and provides extended battery life for the device user. The source has stated that traditional Cortex-A53 cores run at a frequency of 1.2 GHz, which is considerably low. If the processor wants to match the performance levels of other chipsets, then the clock frequency would have to be increased to 2.0 GHz per core, which would no doubt produce substantial amounts of heat that would be deleterious to the overall battery life. The Chinese firm could have also stuck to incorporating the Cortex-A57 processor, which provides 56 percent more performance compared to the A53, but it refrained from doing so because it also consumes 256 percent more power than its lesser performing brother. In order to avoid quick battery depletion and generation of less heat, Huawei decided to incorporate four enhanced Cortex-A53e cores on Kirin 930. The source has stated that the processor inside the MediaPad X2 was able to register 44,000 points thanks a leaked AnTuTu benchmarking report. 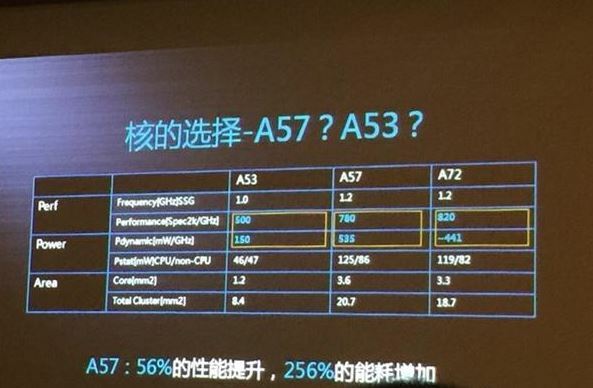 While it can be speculated that Cortex-A57 cores would be able to deliver more performance, Huawei has managed to do things right by balancing power and battery life equally.